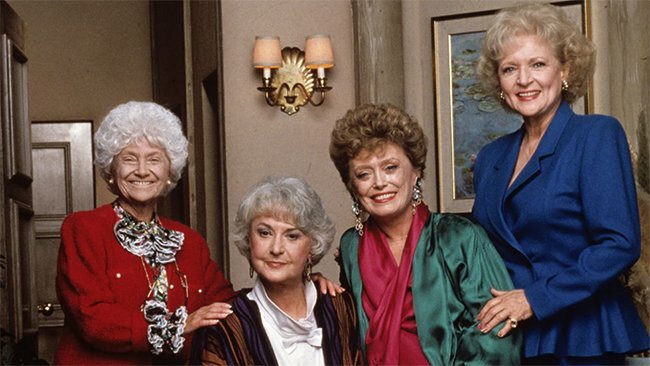 Grab your Golden Girls pals and get tickets for a five-day fun fest on the high seas. I don't know why this hasn't happened already. Minneapolis-based Flip Phone Events has come up with the ultimate tribute to the fab four: A five-night cruise that leaves from Miami and sails to Key West and Cozumel and is bursting with Golden Girls activities! The cruise is scheduled to leave port in Miami (where the show was based) on February 24, 2020. It will be chock-full of show-related events, so you can say "bon voyage" to the lanai at the Caftan Sail Away Party with Cheesecake, get artistic at the Shady Pines Craft Corner, or boogie down at the One Night in St. Olaf Dance Party (which includes a game of Ugel and Flugel). Or maybe you prefer to let your knowledge shine at Golden Girls trivia, win some prizes at Dorothy's Bingo, or just sit back and enjoy the Golden Girls Stage Shows and Drag Queens. And that's just a little slice of the cheesecake that is this adventure. The idea came after Flip Phone Events saw how dedicated the shows fans are, even though it ended almost 17 years ago. The company hosted two successful Golden Girls bar crawls, which each drew in more than 1,000 guests. From that, the cruise was born, in hopes of giving fans a new and unique experience. Tickets range from $1,000 to $1,200, but apparently, you had to be faster than Blanche picking up a date at the Rusty Anchor piano bar to get on this inaugural cruise because they are now only accepting names for the waiting list. But don't let it get you down: Take advice from Dorothy and get yourself on the waiting list and be notified for upcoming Golden Girls cruises through the travel company. Check out all the details of the cruise on the Golden Girls at Sea website.